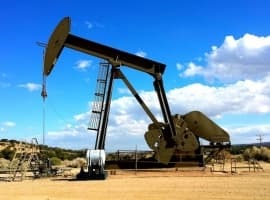 The oil market has come to be defined by several narratives over the past couple of years: market rebalancing, OPEC versus shale, Russia’s delicate relationship with OPEC, OPEC’s conformity with production cuts with the latest deal extension running to end of 2018 and shale’s resilience to lower prices. But these frameworks have created a narrow ideology that could harm the way producers participate in the oil market this year and beyond. The idea that the 24 producers who came together and struck a deal to cut production by 1.8 million b/d in November 2016 are somehow going to ‘exit’ the alliance later this year is misleading. There will be no exit when OPEC, Russia and other non-OPEC producers decide the market has rebalanced—based on OECD stock levels reaching their five-year average — rather a continuation of the grand alliance under amended, and most probably looser, terms. OPEC’s hands are somewhat tied: unwind from the deal and undo all the good work achieved, and so it must continue managing the market in another guise to create stability and encourage long-term investment in oil. Gary Ross at Platts Analytics has been talking of cuts “into perpetuity” since the historic deal was made and informed industry sources note that the exit strategy is the wrong phrase to be using. But while there is uncertainty as to what that new agreement will look like, the market will anxiously hang on to the exit strategy term and these jitters could serve to keep an ultimate cap on prices. Market rebalancing may be the measure, backwardation may be the means but price is the ultimate goal. When prices tanked after a nine-month extension was agreed in May 2017, there was clear disappointment from OPEC sources even if publicly the whims of the market were dismissed and ministers anxiously waited for prices to recover in the medium term. The difficulty with a price target is that nobody knows what an optimal long-term sustainable price is so the goal posts keep shifting. Besides, different price levels create new supply-demand dynamics and the price may be influenced by more than just underlying fundamentals such as geopolitical risk. Related: Is This The Beginning Of An Oil Sands Revival? Thus, for now OPEC’s clumsy priority is market rebalancing. It just needs remembering that bringing down the more than 100 million barrels in stocks to its five-year average could prove elusive given the oversupply in recent years. There is also the flipside risk in which OPEC tightens too much. Indeed, Saudi Arabia oil minister Khalid al-Falih has admitted that OPEC may need a more concrete goal at its June meeting and when it alters its market management strategy it may well coincide with a new long-term target. Russian oil companies have begrudgingly stayed on board with the deal due to the iron hand of President Vladimir Putin and steely determination of oil minister Alexander Novak. Russia is not so at ease with ongoing market management and the fanfare and media circus that surrounds OPEC. Russia also arguably needs the extra revenue less and is more worried about losing market share in Europe and Asia to competition from rising U.S. shale oil exports. 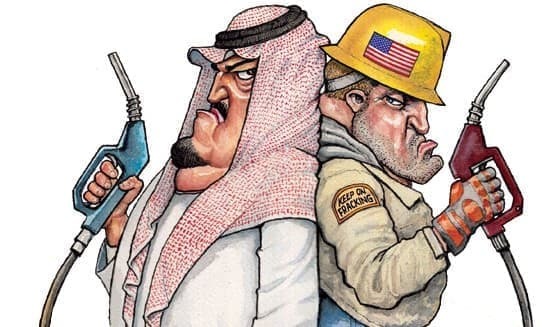 But the growing political nexus between Russia and Saudi Arabia, Russia’s increasing swagger as joint head of this broad OPEC alliance (as noted at the November 30 meeting in Vienna with everyone awaiting Novak’s arrival) as well as the budgetary need for sustained higher prices means Russia could well be in it for the long haul. Putin is keenly aware of the U.S.-Saudi ties and has been building relations with Saudi Arabia since 2007 when it offered the kingdom nuclear aid. Indeed, the overriding concern for the world’s biggest oil producer is that, should the agreement unravel, prices could plunge putting the country back at ground zero. It may be an inconvenient truth for both, but to wield the necessary global energy influence, OPEC and Russia need each other indefinitely. 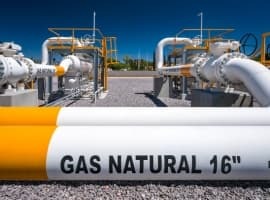 Ever since OPEC did an about-turn on its pump-at-will strategy and started working on a market share approach that was first brokered in Algiers in September 2016, the battle between OPEC and shale has been exaggerated. What may have started out as a move to crush U.S. shale in 2014 has transformed into a broader coexistence at the end of 2017 in a bid to find an equilibrium that allows profits to be made and coffers to be filled by all producers. There has been growing dialogue between U.S. frackers and the oil producer group. It could be argued that OPEC’s first mission was to stop the runaway train that was OPEC output as producers ramped up production month on month as competition intensified. It could also be argued that the real target for OPEC is still unconventional and uneconomic oil as once investment becomes a free for all, OPEC risks a repeat of an oil boom and bust and the volatility it is trying to guard against. But at what point will deepwater, oil sands and Arctic drilling in general become economic enough to persuade investors to commit? 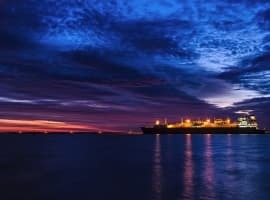 For example, the U.S. deepwater Gulf of Mexico sector has struggled since crude dropped in late 2014, but costs have dropped and efficiencies improved, and analysts suggest the sector may be at a turning point if prices are maintained. U.S. shale producers may well be predicted to make capex gains in 2018, they may have made technological innovations in drilling and completions that have brought down costs and they may have adapted to a lower price environment. 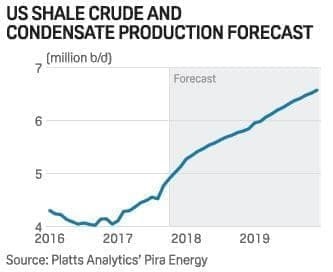 In fact, Platts Analytics predicts a U.S. shale production growth of 900,000 b/d in 2018. But, despite all this, a productivity inflection point may well have been reached, a crossroads for investors. Cyclical cost efficiencies and geological productivity are beginning to unwind with a combination of inflation and a broadening from the sweetest spots and core acreage. In the Permian, rig efficiency peaked in July 2016 according to the EIA, and has since consistently decreased, while the Eagle Ford and Anadarko (Woodford) plays have experienced a significant drop-off in rig productivity. Moreover, investors want a return on their capital and have tired of capturing resources without seeing value being maximized. For almost a decade, the U.S. exploration and production industry has outspent its cash flows in drilling costs, requiring a constant inflow of debt and equity financing to keep going. With prices back above $60 a barrel, can investors make a healthy sum? With the biggest producers now the oil majors, their shareholders may prefer returns over market share.